So I've talked about this before on my social media channels, but today I'm gonna be talking about it in detail - My chiropractor, Chirokare, and what they've done for me since I've started seeing them last August! If you think I'm just posting about them coz I've been asked to/sponsored these sessions, you're so, so wrong. I've had back problems and shoulder/neck pain for the longest time.. Everyone around me knows this coz I'm 24/7 complaining about it. It gets so unbearable especially when I travel coz sitting for long hours just makes it ache so much more. I have scoliosis, something I actually kinda knew all along since I stopped dancing (I used to do ballet till Grade 7!) coz of the pain in my lower back. I thought that when I stopped dancing, it'd get better, since I stopped working on the muscles as much - it wouldn't put a strain on my back anymore, and it'd be good again, right? Unfortunately, when I saw this x-ray result last year, it was obviously even worse. I wish I had seen a chiropractor earlier but it's no use dwelling on things that I can't go back and change anyway. A normal spine here should be curved into a 'C' shape and not look straightened like this. This comes with too much time spent looking down on my phone/computer/reading books. It's so important to take care of your spine. Why? 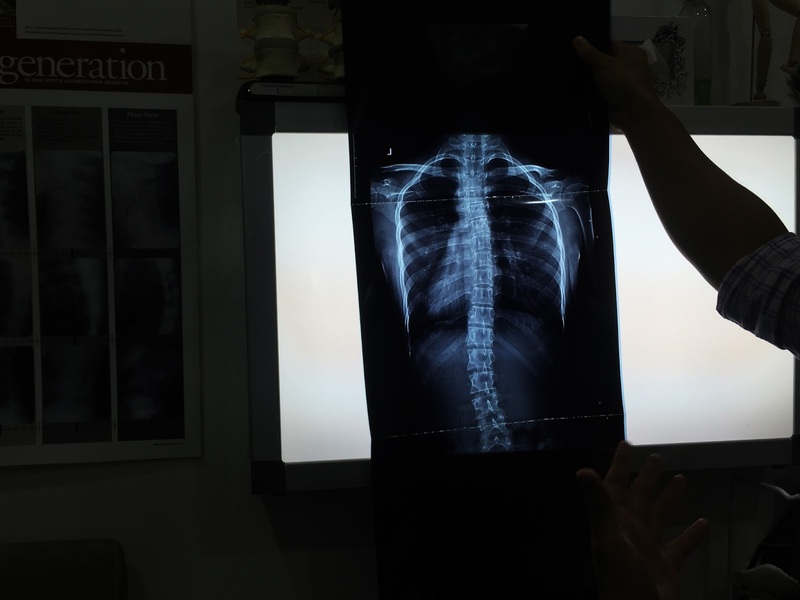 Because when your spine isn't aligned, it presses down on the nerves that connects our entire body together, and it doesn't function as well as it should. This is where a chiropractor comes in! "Biomechanical and structural derangement of the spine can affect the nervous system. For many conditions, chiropractic treatment can restore the structural integrity of the spine, reduce pressure on the sensitive neurological tissue, and consequently improve the health of the individual." I'll be honest and say that although it isn't painful at all when Dr Kim/Dr Alex 'snaps' my bones back in place, it may not be the most comfortable thing in the world sometimes when they press on certain muscles or areas that are tense. I also always feel a little tired after a chiro session, but this goes away after a little while, and I definitely feel my muscles in the neck down to my back loosened everywhere afterwards. I usually visit Dr Kim, and he's always super amazing at distracting me whenever my body readily prepares itself to be snapped into place - For example, he'll ask my to wiggle my toes and while I'm at it, *SNAP* my hips are realigned again! I feel much better these days and don't go for a massage as often as I used to (it used to be one massage a week! 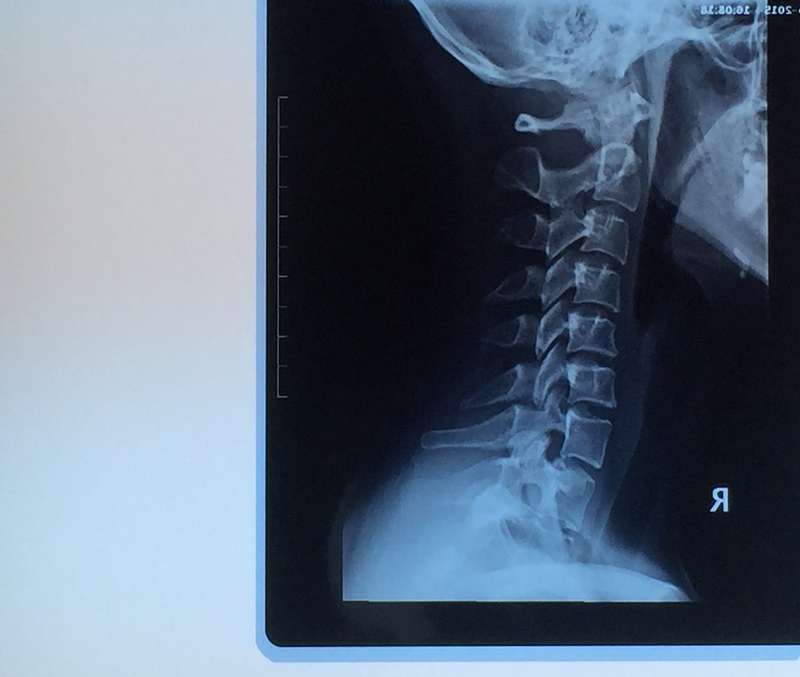 Plus, it doesn't cure the problem, it just gives me temporary relief) and I've also learnt some healthier habits to keep like neck exercises and better sleeping positions to improve the curves of my spine. Everything works better now! A BIG thank you to Chirokare and their staff for taking such good care of me and making me feel so much healthier.